All companies realize the importance of nurturing a talented workforce. Among the organizational processes related to retaining high-performing employees, corporate competencies have become a focal point helping successful organizations understand where to focus resources such as incentives, coaching, and training programs. 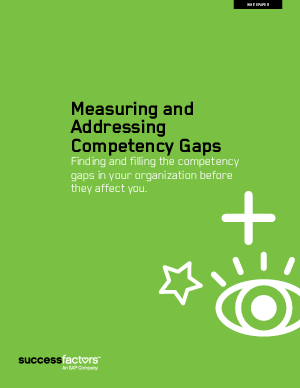 By clearly identifying the right competencies, organizations can make sure they recruit and manage talented people in the most strategic way. That means putting the right people in the right jobs and helping them perform at their maximum potential. This complimentary SuccessFactors whitepaper shows you how.